Former Manchester United manager Alex Ferguson once said: "Attack wins you matches, defence wins you the titles", and his managerial career with Manchester United proves the fact. He won 38 trophies with Manchester United. Scoring goals is an integral part of the game, and at times the efforts of defenders get unnoticed. However, nowadays the limelight is equally shared by attackers and defenders and due to this reason, clubs are spending huge money on defenders to strengthen and organise their squad. Here, in this slideshow, we will discuss the 5 teams which conceded the fewest goals in a single Premier League season. The Merseyside club finished 3rd in the 2005-06 Premier League season. Chelsea were crowned champions with Manchester United finishing second and Liverpool third. The Reds conceded only 25 goals in the Premier League, while, on the other hand, scored 72 goals. Out of 38 matches played, they won 25 matches, lost 6 matches and 7 matches ended all square for them. Liverpool won the FA Cup and the UEFA Super Cup during the 2005-06 season. Pepe Reina was their first choice goalkeeper and he kept 21 clean sheets in the Premier League. 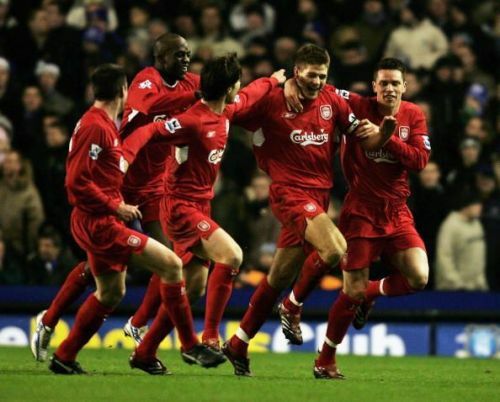 Steven Gerrard was their top scorer with 10 goals in 32 matches. 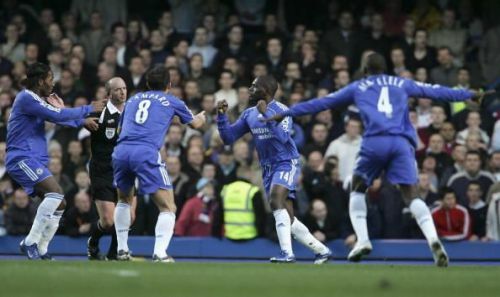 Chelsea celebrated their 100th anniversary in 2005, and they marked the occasion by winning the 2005-06 Premier League. The Blues conceded only 22 goals in the whole Premier League campaign. Furthermore, they scored 72 goals in the Premier League. Chelsea just lost 5 matches in the league, winning 29 and drawing 4 matches. The London-based club won the Premier League and FA Community Shield in the 2005-06 season. They also reached the FA Cup semi-finals and got knocked out in the Round of 16 of the UEFA Champions League. England and Chelsea legendary midfielder Frank Lampard was Chelsea's top scorer in the Premier League with 16 goals in 35 matches. Chelsea kept 20 clean sheets in the Premier League. Frank Lampard, Joe Cole, John Terry and Gallas were selected in the PFA team of the year.